The 2016 lionfish hunting season is quickly approaching and we have lots of exciting new lionfish hunting equipment to share with you! 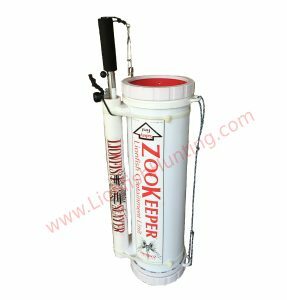 The always popular Zookeeper lionfish container is now being made with an all clear housing instead of the original white so that you can easily see how loaded your container has become. 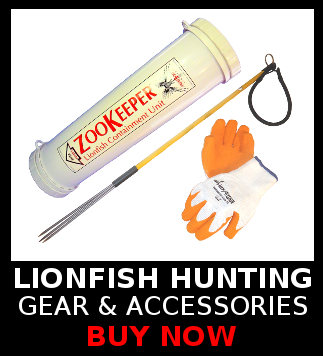 The new Zookeeper has the same durable construction and effective one way funnel opening for safely removing the lionfish from your spear and keeping the spines safely in a solid container. Another great new product for safely hunting lionfish is the Lionfish Slayer, a triggered polespear device which safely protects the spear tip in a stainless tube before firing with the thumb trigger. The new Lionfish Slayer is also available with a custom mount for securing to your Zookeeper for easier carrying. Similar to the popular Foldspear package, your spear can now be carried effortlessly by only needing to carry one item while having no sharp spear points to poke you or your dive buddy on the safety stop or while getting back on a boat. This has become the number one complaint with the basic affordable polespear and the problem is solved with these new tools. And speaking of polespears, Neritic diving has recently come out with a high quality two-piece aluminum breakdown polespear with a 6mm tip for lionfish hunters. 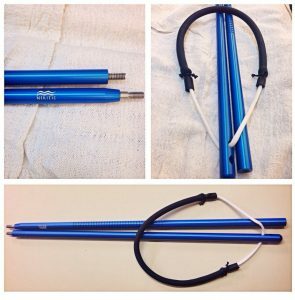 The two 18 inch sections make it a solid choice for travelling divers. 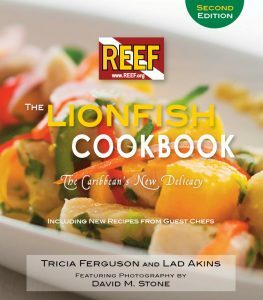 To help you out once you’ve returned home with your day’s catch of lionfish, REEF has just come out with their new revised 2nd edition of the Lionfish Cookbook.